Politicians and government officials from all of Norway’s political parties were reacting with claims of “shock” and “scandal” on Thursday to a TV2 report that the US Embassy in Oslo has conducted secret surveillance of hundreds of Norwegians over the past 10 years. The embassy reportedly employed former Norwegian police, intelligence and military experts to do the job. Reaction has ranged from outrage to more moderate expressions of deep concern but many were calling the TV2 report of such surveillance, which many claim is illegal in Norway, a scandal. US officials have confirmed the surveillance but claim Norwegian officials were informed about it. That’s disputed by Norway’s Foreign Ministry and its Justice Ministry, with Justice Minister Knut Storberget saying he has never been informed “of any form of surveillance activity” for American authorities. “To the degree this (TV2’s report) is true, it’s frightening information,” André Oktay Dahl, a member of the parliament’s justice committee for the Conservative Party, told newspaper Aftenposten. At the other end of the political spectrum, Members of Parliament from the Socialist Left party (SV) called the reported surveillance a “scandal” for which the Americans and the Norwegians that the US Embassy hired must be held accountable. TV2 reported on its nightly national newscast Wednesday that the US Embassy, “in deepest secrecy,” built up a surveillance unit in Oslo over the past decade that systematically has kept hundreds of Norwegians under surveillance. Many of the Norwegians ultimately have unwittingly landed in a US terror register and likely will remain there for 25 years. 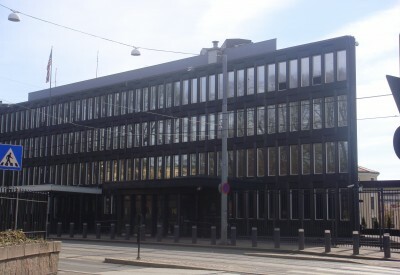 The embassy’s organization, called “Surveillance Detection Unit,” reportedly was set up in the spring of 2000 and operated from the sixth floor of the office building known as Handelsbygningen at Solli Plass, just a few hundred meters up the street from the embassy’s location on Henrik Ibsens Gate. After TV2 started asking questions, the unit reportedly was moved to a new, secret location where it remains in operation. The unit reportedly has employed as many as 20 persons including retired Norwegian police and former military and intelligence experts. TV2 said it had identified around seven of the Norwegians working for the Americans. Surveillance has long been an especially sensitive subject in Norway and the country has spent years building up strict laws to regulate intrusion into private lives. Reports that a foreign government has conducted surveillance on Norwegian territory were guaranteed to set off howls of protest in Norway, also from officials, not just those who were targets the surveillance. Bjørn Erik Thon, head of the Norwegian agency that regulates surveillance in Norway (Datatilsynet), told TV2 that he’d never seen anything like the embassy-run operation in Norway. “I think it’s very serious that something like this can be conducted on Norwegian territory and that it’s Norwegian citizens carrying out the work,” Thon said. Thon called the embassy’s surveillance operations “a violation of Personopplysningsloven,” the law that regulates distribution of personal information in Norway. He said it appeared to have been “completely ignored” in this case. He was especially disturbed that the Norwegians employed by the embassy to, for example, take photos of persons engaging in political demonstrations, apparently have felt they can avoid the law because they were working for a foreign employer. 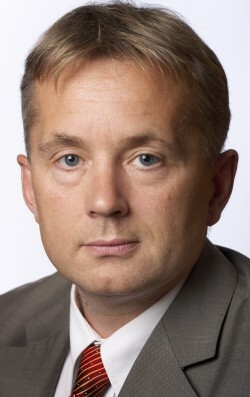 Justice Minister Storberget, ultimately responsible for police activities in Norway, was also among those disturbed by TV2’s report and said there was “every reason” to take it seriously. Storberget said he already had launched an internal investigation and asked both the Police Directorate and the police intelligence unit PST for whatever information they may have on the US embassy’s operation. Officials at the US State Department in Washington DC have confirmed the surveillance operation but claim it was begun in cooperation with Norwegian authorities. US officials initially declined comment on the program, with TV2 reporting that all requests for interviews with those responsible for embassy security, the Surveillance Detection Program (SDP) and the terror register SIMAS were turned down. After TV2’s story broke Wednesday night, Aftenposten reported that the US Embassy also failed to respond to numerous attempts for comment. TV2, however, finally got a comment during a press briefing at the State Department in Washington. Spokesman PG Crowley told TV2 that SDP had been put in place during the past 10 years because the US is aware that its embassies around the world can be targets for terrorism. Crowley claimed the State Department “cooperates” with authorities in the host countries in its efforts “to do all we can” to protect US embassies. That applied also in Norway, he said.